What, until the US$4.5 billion 1MDB affair, had been Malaysia’s biggest scandal, has reappeared – the US$1.2 billion purchase of submarines under then-Defense Minister Najib Razak at the turn of the century, a lurid tangle of blackmail, bribery, murder, influence peddling, misuse of corporate assets and concealment. Crusading French lawyer William Bourdon and his associate, Appoline Cagnat, are currently in Malaysia discussing the affair with Attorney General Tommy Thomas, according to local media. Bourdon and his associates compiled much of the evidence about the purchase at the turn of the decade for Suaram, the Malaysian good-government NGO, but he was kicked out of the country for attempting to follow up the case by Najib’s government. The matter has remained in limbo since 2012 as the Najib government pulled out all the stops to keep it buried. 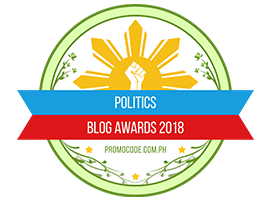 Now, however, after the May 9, 2018 election that turned out the Barisan Nasional and brought the Pakatan Harapan coalition to power, the new government has shown considerable zeal in bringing long-buried scandals to the light. The Scorpene submarines were purchased by Malaysia from subsidiaries of the state-owned weapons manufacturer DCN although there is no evidence that Malaysia ever needed submarines and in fact they had to be based in East Malaysia because the waters around Peninsular Malaysia were too shallow for them to operate efficiently. According to evidence compiled by Asia Sentinel in a long series of articles that won the 2013 Award for Excellence in Investigative Reporting from the Society of Publishers in Asia – Asia’s version of the Pulitzer Prize – the transaction steered a €114.96 million (US$130.3 million at current exchange rates) kickback to the United Malays National Organization through a private company called Perimekar Sdn Bhd. Perimekar was wholly owned by Abdul Razak Baginda and its principal shareholder was his wife, Mazlinda, a close friend of Najib’s wife Rosmah Mansor. He was then the head of a Malaysian think tank called Malaysian Strategic Research. Razak Baginda was a close friend of Najib Razak, who went on to be Malaysia’s prime minister and would be booted out of office in disgrace over the 1MDB scandal, which later supplanted the Scorpene scandal by far. According to the documents made available to Asia Sentinel, some of the misdeeds appear to have taken place with the knowledge of top French government officials including then-foreign Minister Alain Juppe and with the consent of former – and current — Malaysian Prime Minister Mahathir Mohamad. As Asia Sentinel reported in 2012, the payment appears to have been in violation of the OECD Convention on Bribery, which France ratified on June 30, 2000. On Sep. 29, 2000, DCNI, a DCN subsidiary, “took corrective actions” after France joined the bribery convention. Contracts concluded after that date were to be routed to companies held by Jean-Marie Boivin, DCN’s former finance chief, headquartered in Luxembourg and Malta respectively. Among the documents is one that shows Boivin paid to send Razak Baginda on a jaunt to Macau with his then-girlfriend, Altantuya Shaariibuu, a jet-setting Mongolian national who was later murdered by two of Najib’s bodyguards in gruesome fashion in October of 2006 and whose body was blown up with C4 explosives, possibly to destroy the fetus of the child she said she was carrying when she was killed. In a handwritten note found in her hotel room after she had been murdered, Altantuya said she was blackmailing Razak Baginda for US$50,000, although she didn’t say why. However, according to the documents, she had considerable knowledge of the purchase of the submarines from her relationship with the defense analyst. And, although Najib has repeatedly denied it and sworn on the Quran that he had never met her, there is evidence that he had not only met her but had an affair with her before Razak Baginda. 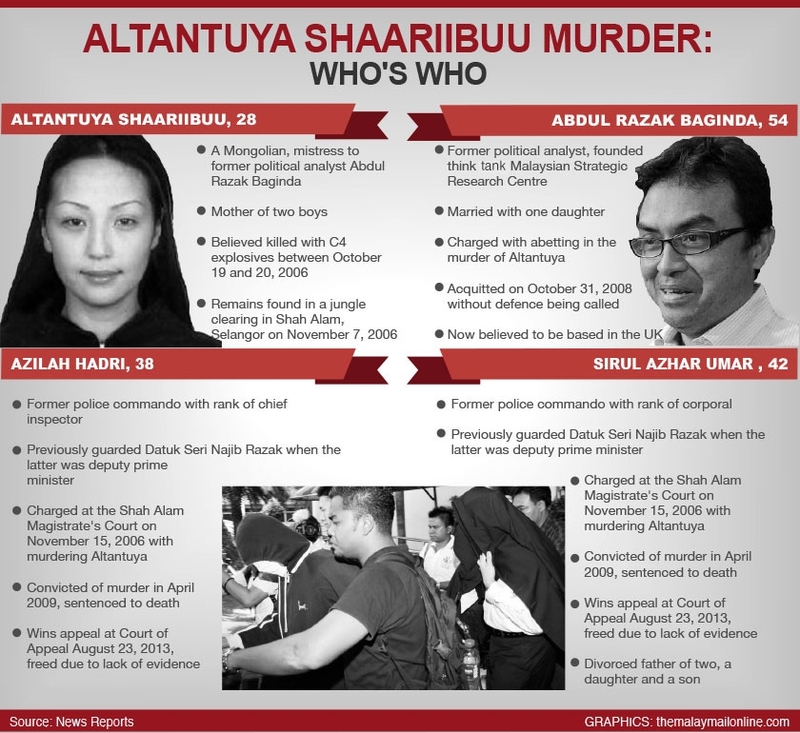 Two of Najib’s bodyguards, Azilah Hadri and Sirul Azhar Umar, the latter of whom left the country when he was temporarily freed by an appeals court and remains in Australia, were tried and convicted of her murder in a long-running trial that appeared to be carefully orchestrated to make sure nobody above the two bodyguards was ever named despite the fact that one of them, in a sworn statement, said they were to be paid MYR50,000 to carry out the killing. Musa Safri, Najib’s aide de camp, was identified as the individual who designated Azilah and Sirul to pick up Altantuya. But there is no evidence he was ever questioned by the police about his involvement. In June 2018, the then-newly appointed Inspector-General of Police Mohamad Fuzi Harun told reporters that an investigation into Altantuya’s death would be reopened, based on a new police report submitted by Altantuya’s father. So far there has been little public indication of progress. The story, which was considerably bigger than just the Scorpenes, in essence began when Najib was appointed Defense Minister in Mahathir’s cabinet in 1991 and embarked on a massive buildup of the country’s military, arranging for the purchase of tanks, Sukhoi jets, coastal patrol boats – and submarines, all of which appear to have been mired in corruption and kickbacks that enriched Najib and UMNO. French, German, Swedish, Russian and Dutch manufacturers in turn went looking for the most effective cronies of the Malaysian leadership to help them out. Posted in Altantuya Murder, Asia-Sentinel, Corruption, Najib Razak, Scorpene submarine murder scandal, UMNO.